Biochemist Jean Baker, Ph.D., focuses her practice on the drafting and prosecution of chemical, biochemical, and pharmaceutical patent applications and on patentability and infringement opinions — she has drafted and prosecuted portfolios of multiple patents involving biofilms, biofuels, blood chemistry, stem cell biology, chemotherapeutics, and use of micro-arrays. 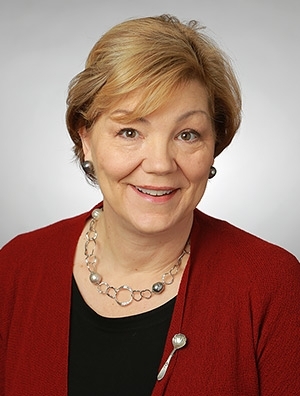 She was formerly the national chair of the firm’s Intellectual Property Group as well as an adjunct professor of Patent Law at Marquette University, the co-chair of the Door County Intellectual Property Law Academy, and the chair of the State Bar Intellectual Property Section. Jean is a leader as much as a practitioner, who represents not only research institutions but any business engaged in the protection of nascent technology. Jean has special expertise in the fields of transgenic micro-organisms, plants, and animals and recombinant DNA techniques, including production and use of modified proteins. She has drafted and prosecuted many patent applications drawn to nucleic acid assays and detection methods and to model systems for drug testing. She also has specific experience in transgenic organisms designed to optimize biofuel components. Given her credentials, Jean is clearly fascinated with the development of biotechnology, and in fact she believes that now is an especially exciting time to be part of that field. Extraordinary developments are not only on the horizon but in the patent prosecution process, and Jean has positioned herself to be an invaluable resource to her clients in bringing such developments to market. She is both attorney and scientist, as well as academic, and loves to see new technologies developed into products that benefit everyone. Recognized as Best Lawyers® 2017 Milwaukee Patent Law "Lawyer of the Year"
Recognized as Best Lawyers® 2012 Milwaukee Biotechnology Law "Lawyer of the Year"